Muirhead Plant is an established supplier of excavators and machinery with an unparalleled reputation for excellent service and customer satisfaction. We assist contractors, construction firms and the agricultural sector on a daily basis offering expert advice on our range of machinery available for purchase and hire. 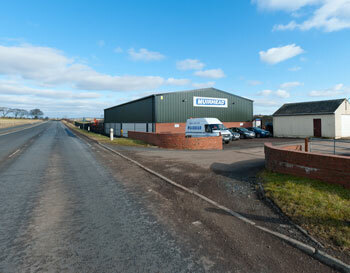 Our Ayrshire based premises are ideally located in Central Scotland, only 25 minutes from Glasgow. On site we have excellent facilities to provide maintenance, servicing and repairs to our range of machinery which includes plant such as excavators and dump trucks from quality manufacturers such as Hitachi, Caterpillar, Takeuchi, Kubota, Volvo, New Holland and many more. We deal with clients worldwide and across the UK. You can browse our range of machinery for sale or contact us for information on plant hire.